The Bodycraft cable pull module HFT is very versatile and trains not only your muscles but the home functional trainer also trains movements and ensures more fitness. Wide-range accessory is already included in delivery. Exercise as you like it with the Bodycraft cable pull module HFT. Cable pull modules offer an outstanding range of exercises. They can be individually adjusted and the exercises is not preset. Different to classic multi-gyms, the exercise is not guided. It makes the training with the Bodycraft Home Functional Trainer functional: You do not only train muscles but you train movements. 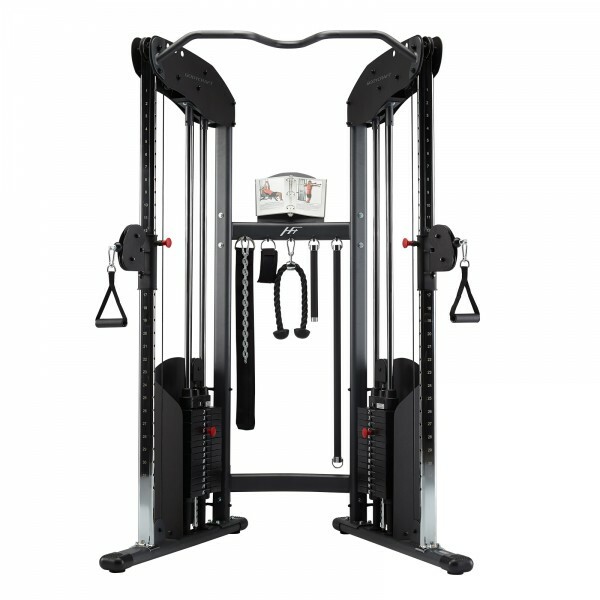 Both cable pulls of the HFT multi-gym of Bodycraft can be used independently of each other. Every pulley is height adjustable in 31 levels. The pulleys of the cable pulls are pivoted in 180°. It makes the training more varied, you can train in every position, and effectively train more muscles. The Bodycraft cable pull module HFT is of first-class workmanship. The pull-cables are extremely loadable and run on very big pulleys making the movement smoother. The ball-bearings are sealed so neither humidity nor dirt can come in. A constant concentric run is guaranteed. 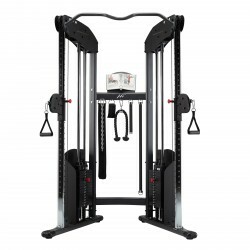 The Bodycraft cable pull module HFT is delivered with wide-range accessory, it includes many different strength handles as well as chains to use additional weights - if the exercises with a chin-up bar become too easy for you. BodyCraft weight bench Deluxe F602 In stock! Taurus Ab Straps In stock! Taurus tricep rope long In stock! Taurus handle Deluxe In stock! Bodycraft cable pull module HFT add to comparison list.